the capital of the island, stretches out around the Venetian castle of the 13th century – renovated by the Venetians in 1503 – to share with it an overwhelming view to the Cretan Sea. You’ll see narrow streets with whitewashed houses and -a little closer to the castle- old mansions, Venetian buildings and many more, built under the British rule. In the quiet central square of Chora you’ll find the City hall, banks and other services while the central alleys have plenty of souvenir shops. Your need for a rest will be met at the cafés of the two scenic squares of the village. Wandering around the streets of Chora and the Castle is really worth it, there are many churches, beautiful gardens and the aesthetics of the buildings’ architecture is of great interest. 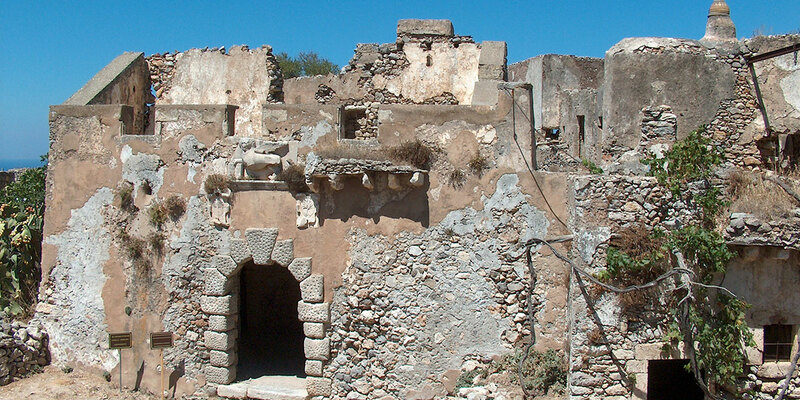 The Historical Archive of Kythera, located in the castle of Chora, is worth a visit as it keeps texts and documents from the 16th century. It could be said to be the busiest spot for tourists. 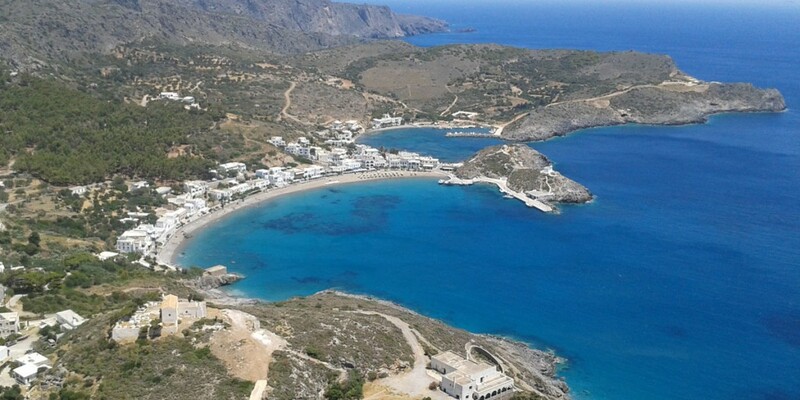 Full of cafés, tavernas, bars and boasting a marina too, Kapsáli is where the night of the island turns energetic and eager for a meeting and romance.. Kapsali is the port of Chora, the capital of Kythera. 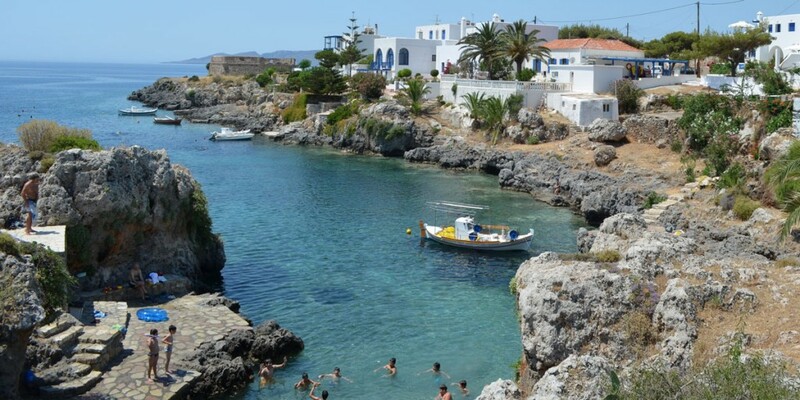 Perhaps the most beautiful village of Kythera set on the eastern part of the island, Avlemonas is a coastal village with picturesque bays. Crystal blue-azul waters bathe the frisky morphology of little bays to match with the cycladic architecture of the houses and the cobblestone paths around them into an attractive ambience of recreation and wellness. Swimming and diving, walking up to the Venetian fortress-observatory, witnessing the romantic atmosphere. Do not forget to see the building with the sundial in the creek behind the village and the second bay of Avlemonas with the amazing café. 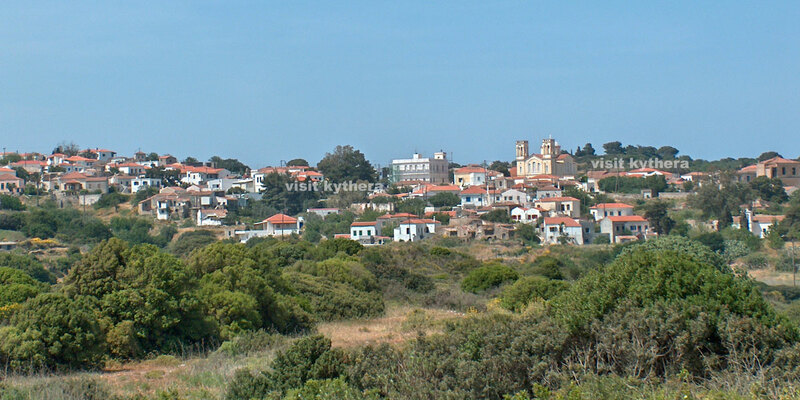 is the biggest village of the island. Even on a cool winter day, when the inhabitants of Kýthera generally stay in, there will always be some chatters and banters at the cafés of the central square of Potamós. On Sundays, the flea market is just another excuse for the villagers to go out again, meet their friends and enjoy the atmosphere of their fantastic place. Do not forget to visit the historic building of the English school. In the summer, musical concerts and theatre shows often take place in the open air municipal theatre which is located at the east. Many shops, cafes, restaurants and offices make up this nodal point for the residents of northern regions. had been founded by the Venetians. The Saint Mark’s Lion symbol of the “Serenissima” Republic of Venice still adorns the gate of the remains of the castle (built in 1565) in the Káto Chóra neighbourhood. The village is beauteous for the running waters, the plane trees, the ponds with the ducks, the traditional architecture, and the astonishing falls of the Fónissa ravine. Walk down the latter to marvel at a spectacular row of watermills and waterfalls. Wandering around the alleys of the village, you’ll enjoy the architecture of the village. Start your visit with a morning coffee and cake in the square, under the planes. The traditional café, the church, Kamari with the running waters and ducks offer a pleasant and familiar feeling. In the afternoon you can go down to the Fonissa falls, a sight that nobody could imagine witnessing in Kythera. The brave ones can continue towards the watermills, with a series of waterfall so enchanting that might lead them to the sea. It is recommended to use mountaineering equipment in order to enjoy this adventure. Don’t miss the sunset in “Kato Chora” and don’t forget to ask the locals about the small monastery of Panaghia Orphani Orfani. Finally, you’ll be in awe when you will have reached the quite beach of Kalámi. If lush vegetation is your thing, then you’ll surprise no one by stating that you regard this village as the top beauty of Kýthera. With an exhilarating view to the gorge of Tsákonas, the village lazily enjoys its position amongst trees, shrubs, and plants. This rich vegetation is the habitat of a variety of nectarines that is unique to this place. Before watering your mouth, this fruit will bring a delightful sensation to your touch; that’s why the locals call them “breasts of Aphrodite”. Opposite Mitata is the smaller village of Viaradika and among them lies the gorge of Tsakonas. The gorge is accessible and full of pleasant surprises for the potential walker who will encounter watermills, ponds, a small post-Byzantine church and the secret school. The region has plenty of springs with abundant water. 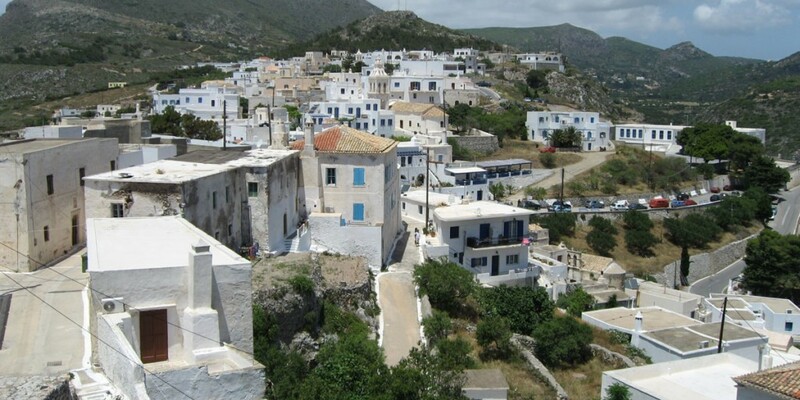 With an architecture recalling the southern Peloponnesian one, this traditional village is one of the island’s crossroads. The visitors are impressed by the myriad forms of the chimneys of the houses of the village. It was in 1995, when building the main port of the island finished, that this area started turning into a developed one. In just a matter of years, a place, which used to be just an area with some sparse houses, is now a busy village where you can stay, eat, and swim. The 800m²underground cave of Choustí, where very important archaeological findings have been brought to light, is also here. 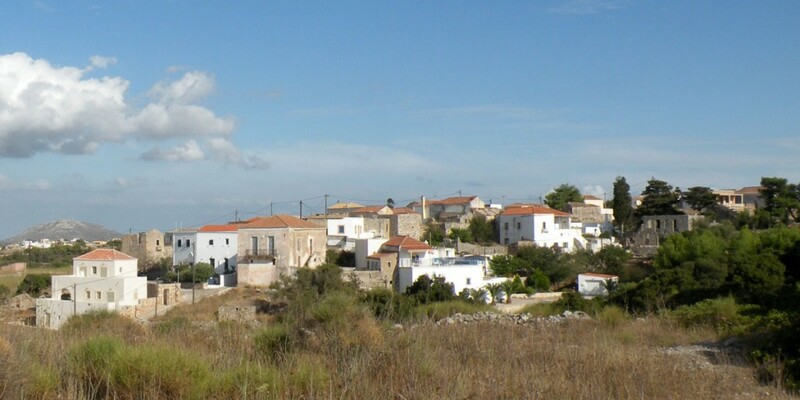 Livadi is considered to be the commercial center of the south Kythera. 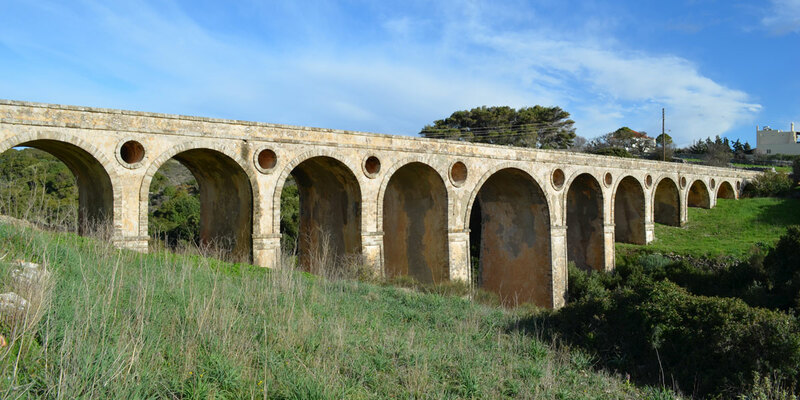 In Livadi you’ll see the famous bridge of Katouni. There are many small settlements surrounding the village. 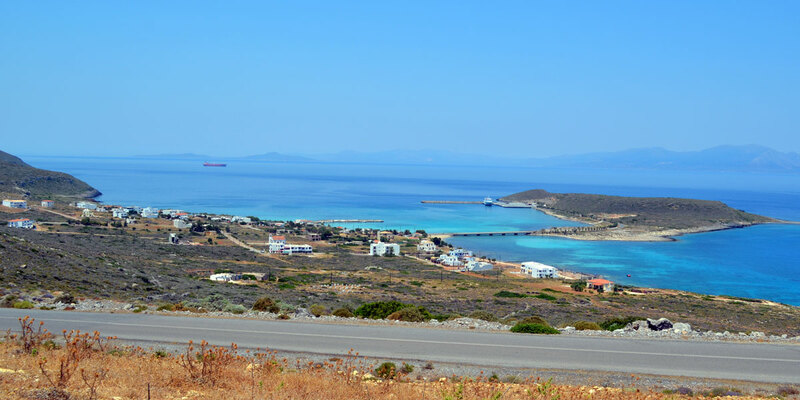 Since Livadi is located on the main road of the island and connects many areas, it forms a meeting point for residents of the southern regions. 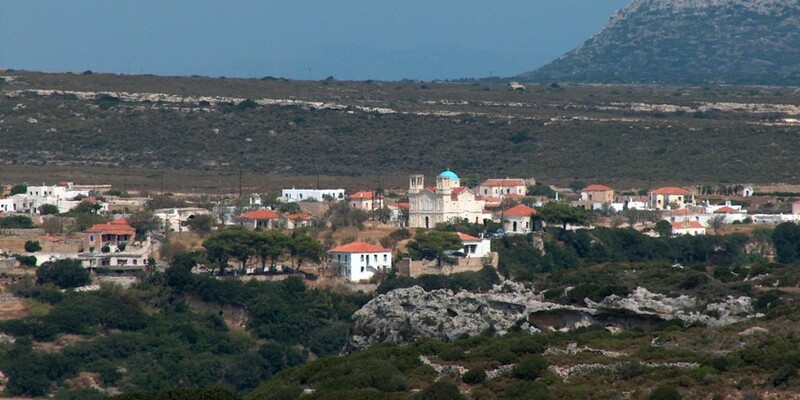 Located in the northern part of the island, Karavas is a green-clad place. Water ceaselessly runs in the ravines and the springs of Amir Ali caress the senses and refresh the heart. Architecture is the village’s strong point: beautiful buildings and houses of a distinct identity, built in the most unexpected areas. 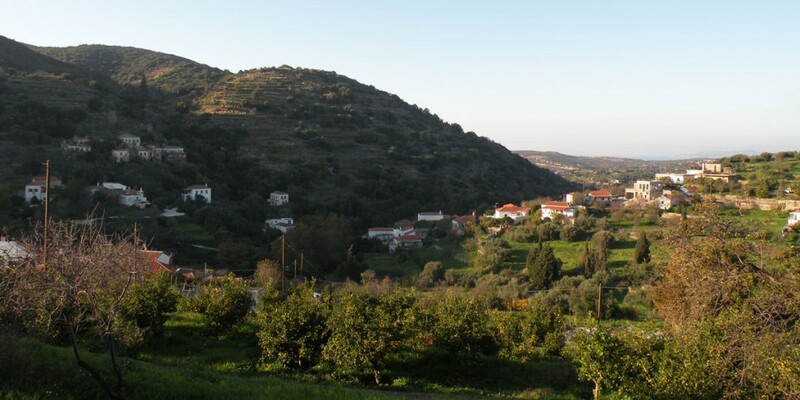 The locals are proud of the collective activity they have developed; the local association Portokalia as it has been called, after the village’s sacred tree (orange tree), organizes many significant cultural events, mainly in the summer. It is only certain that when you meet Karavitians, you’ll be impressed by their love for the village. In Karavas visit the recently built bakery and not only taste and buy their products, but also ask them to give you a tour and give you all the details of the art of bakery.